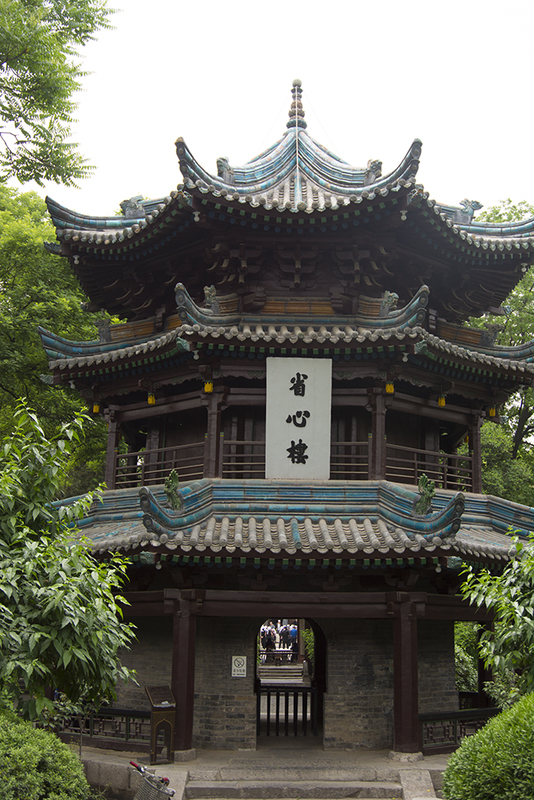 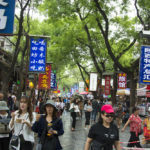 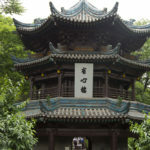 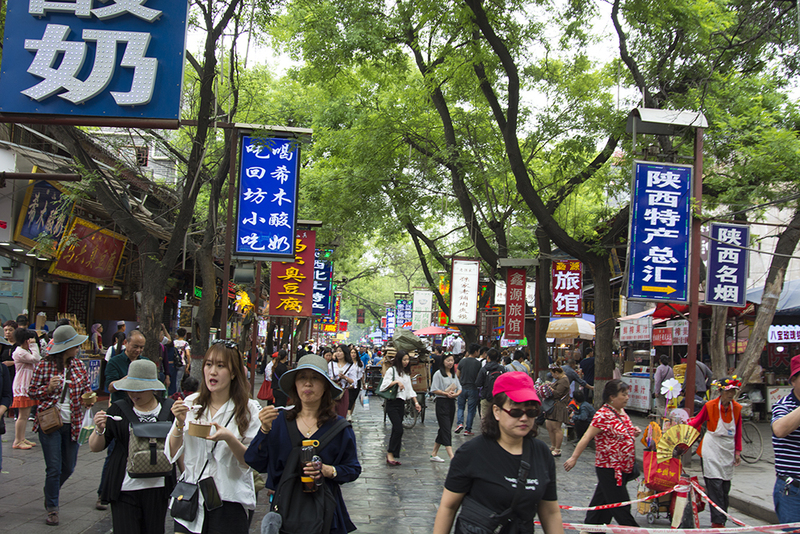 Xi’an is a modern city of eight million people including a million students attending fifty universities. 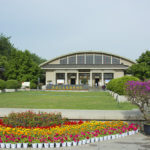 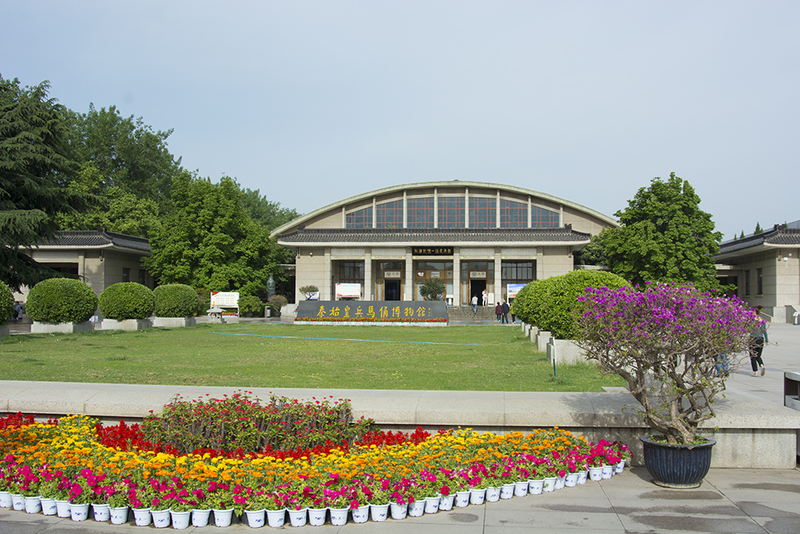 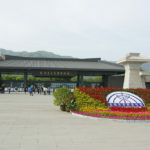 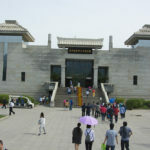 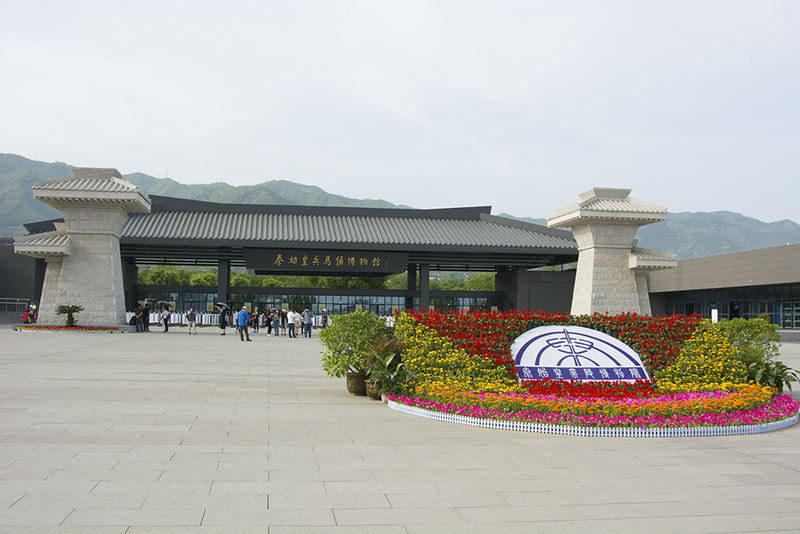 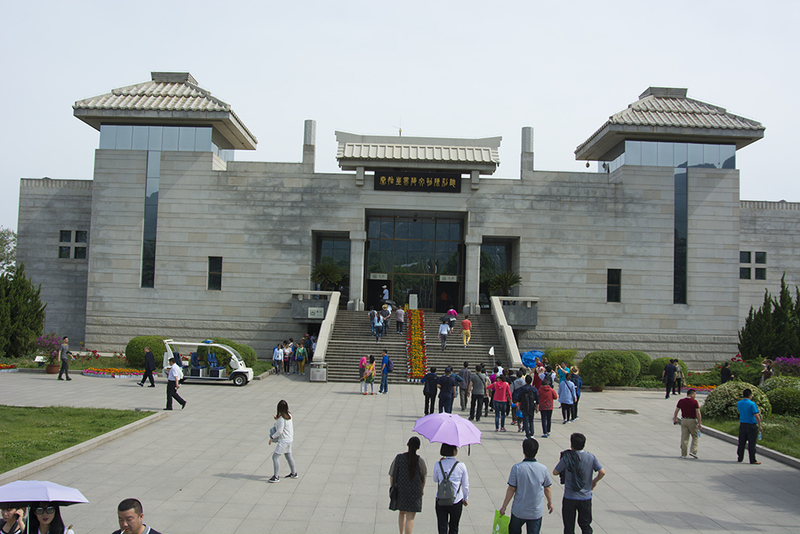 It is an agriculture center with both the Yellow and Yangtze rivers flowing through the area. 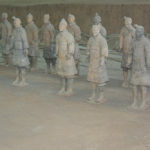 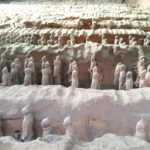 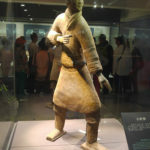 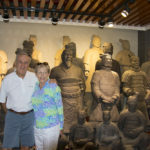 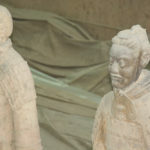 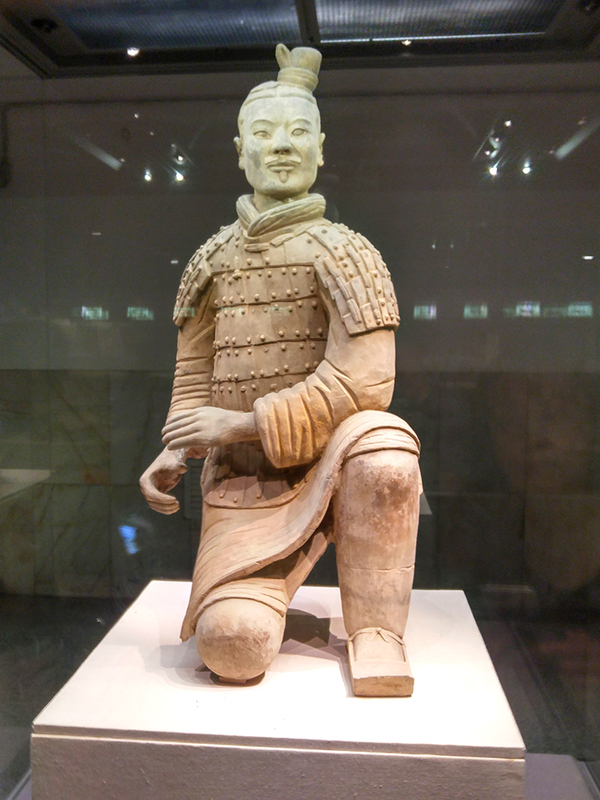 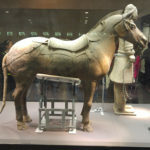 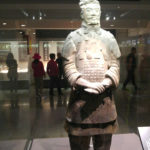 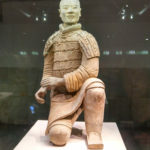 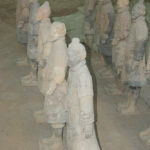 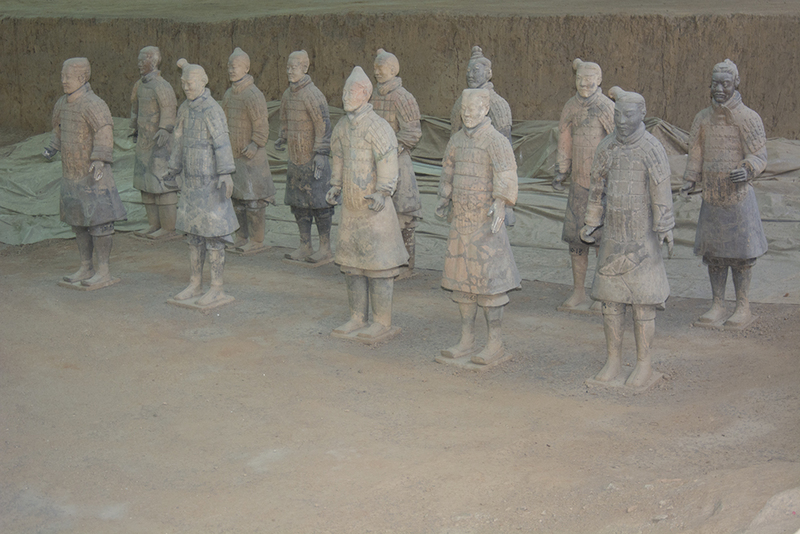 It is most know for the Terracotta Warriors, the 8,000 man army that Emperor Qin had built to serve him in the after life. 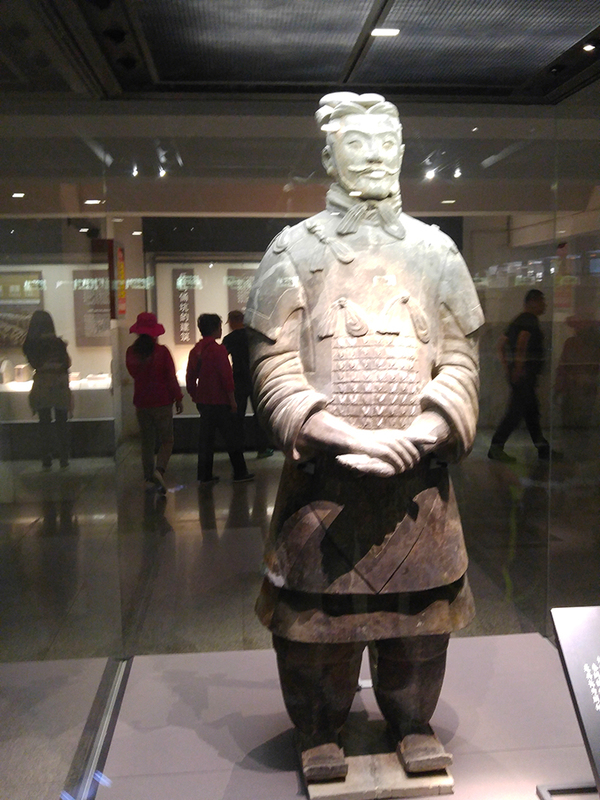 The Qin dynasty (259 BC) was pivotal, as he was credited with unifying China into a single nation. 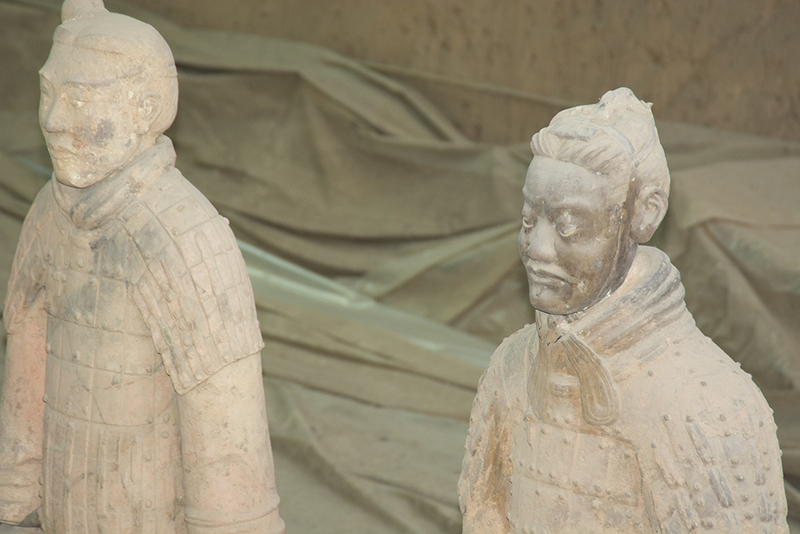 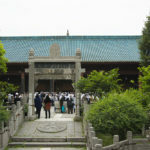 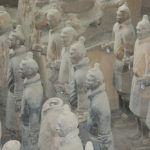 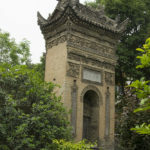 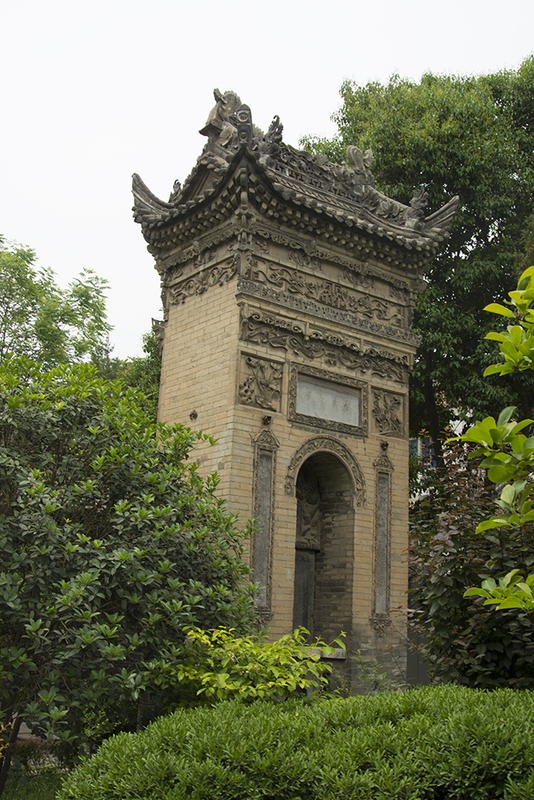 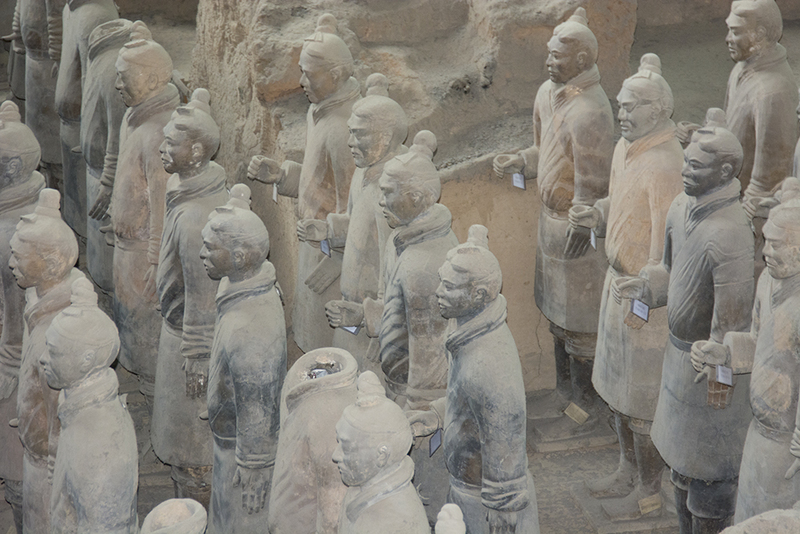 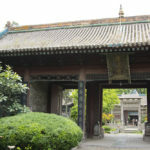 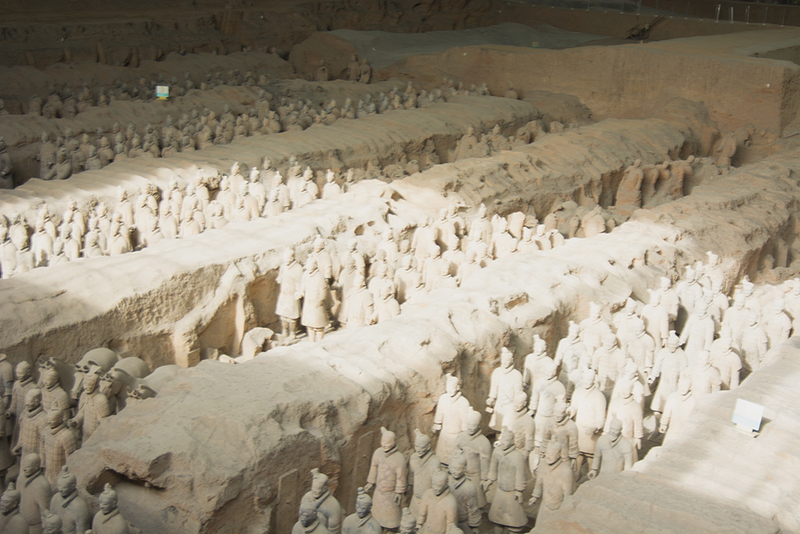 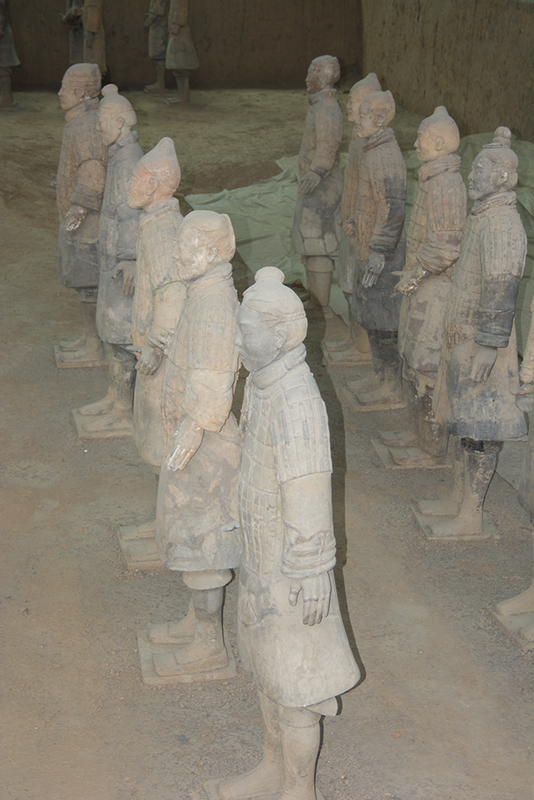 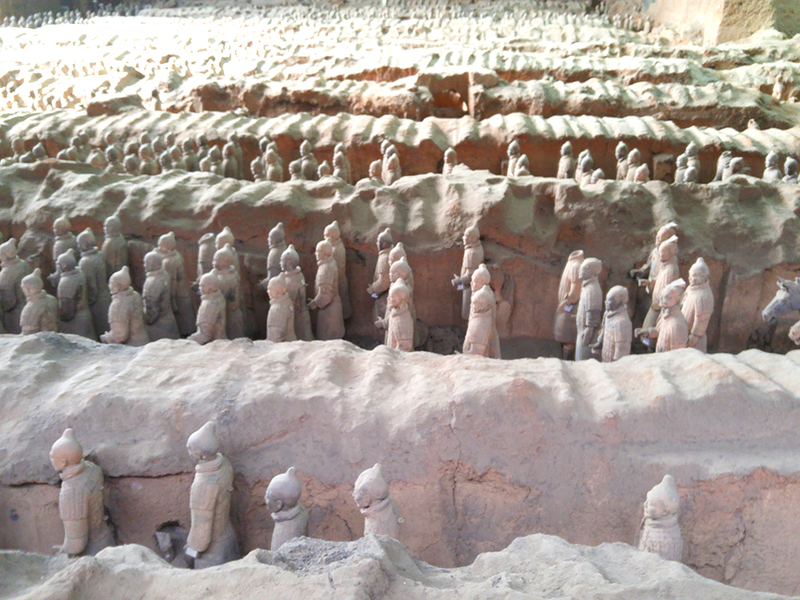 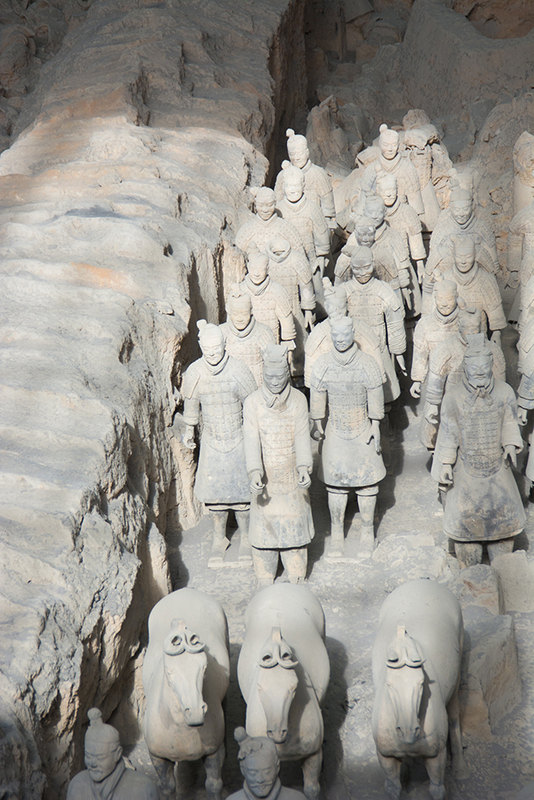 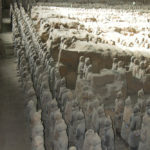 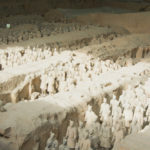 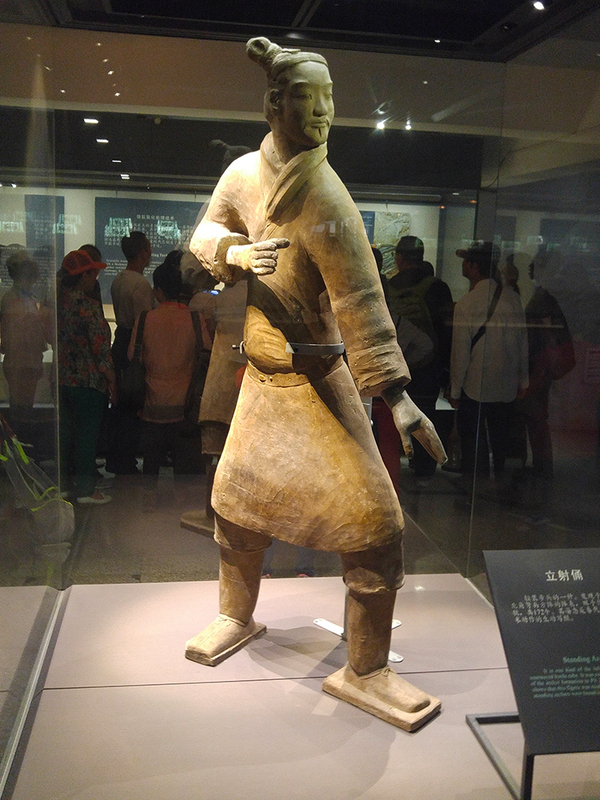 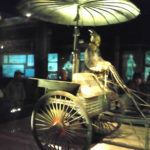 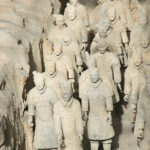 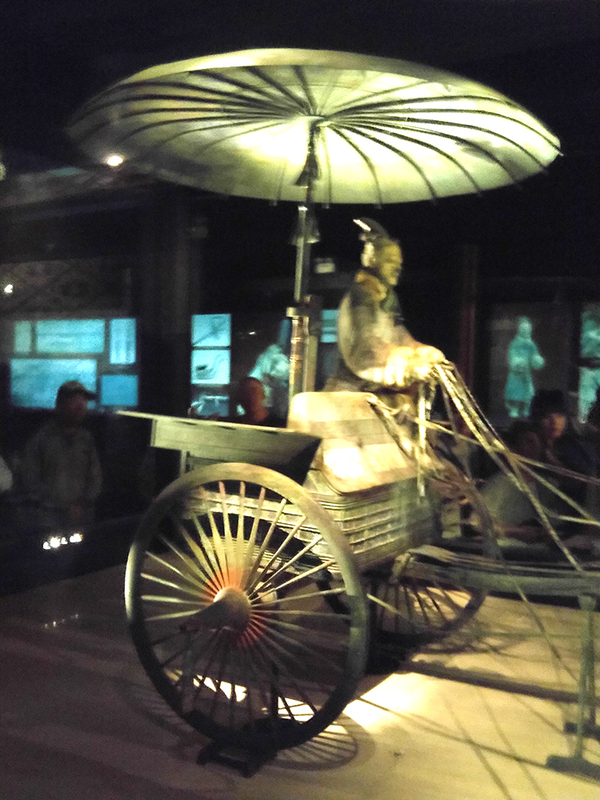 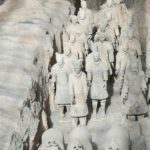 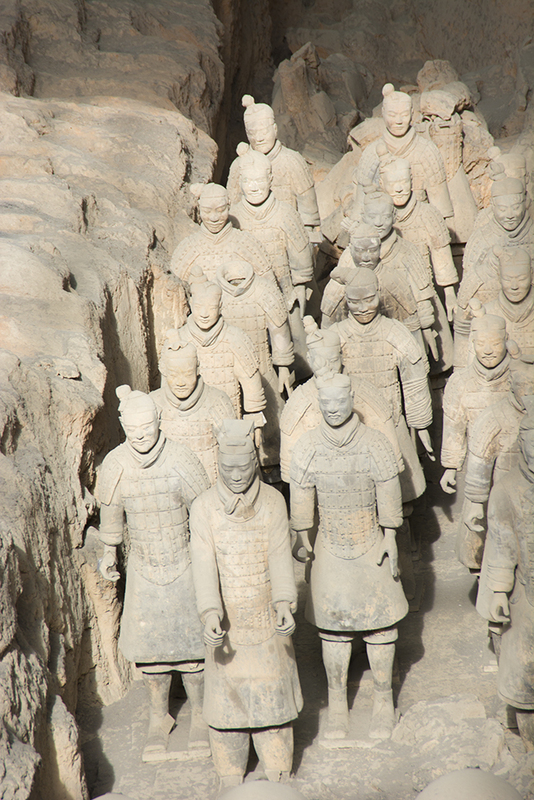 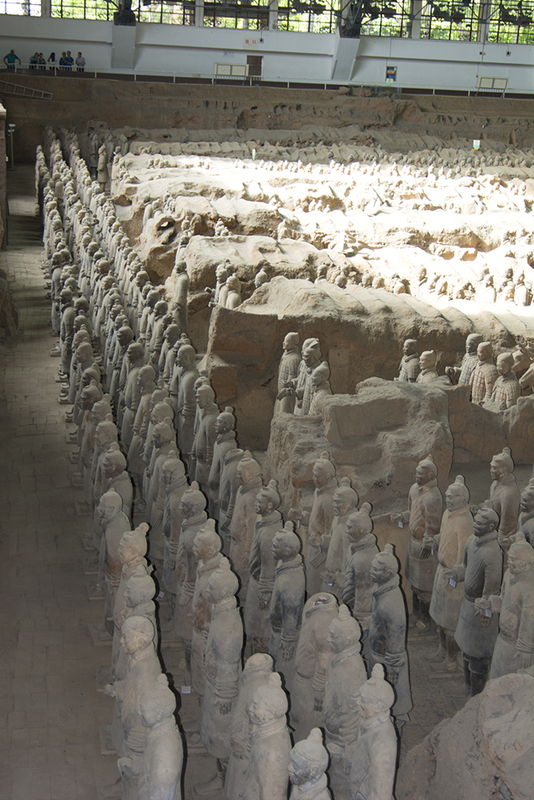 The Tomb and Warriors were discovered in 1976 and now have become a major tourist attraction in China. 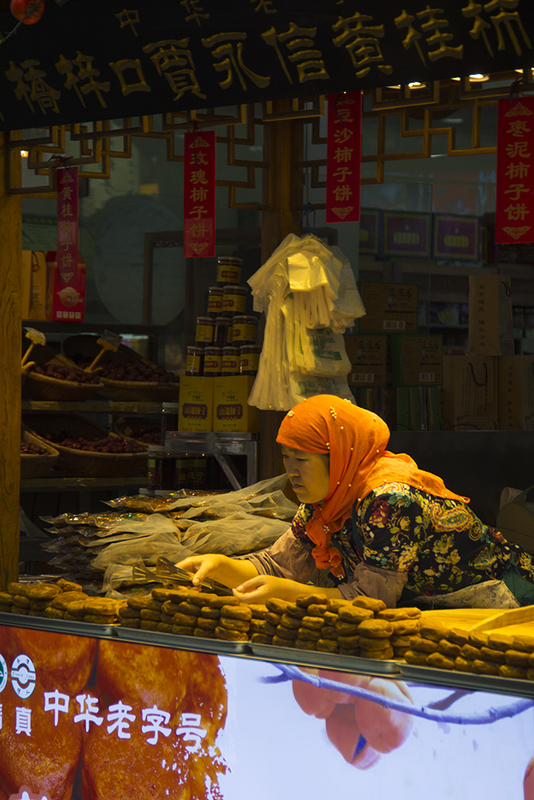 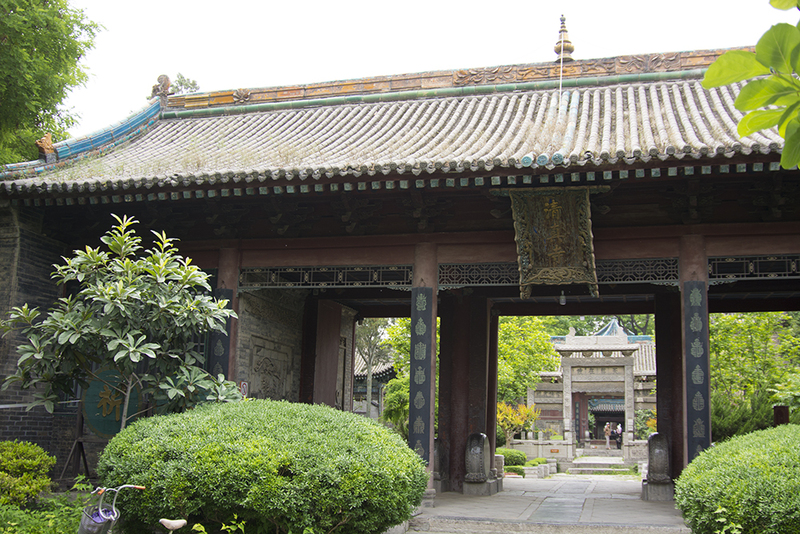 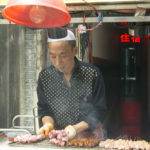 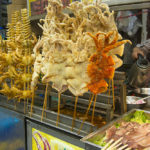 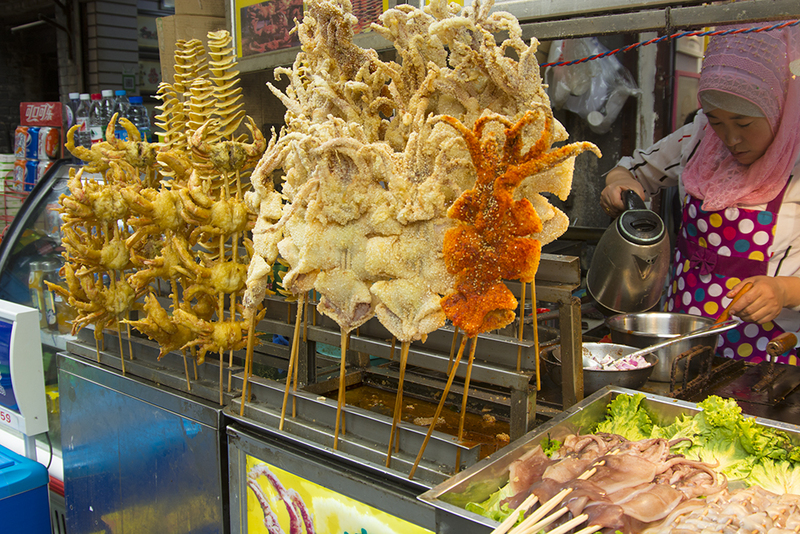 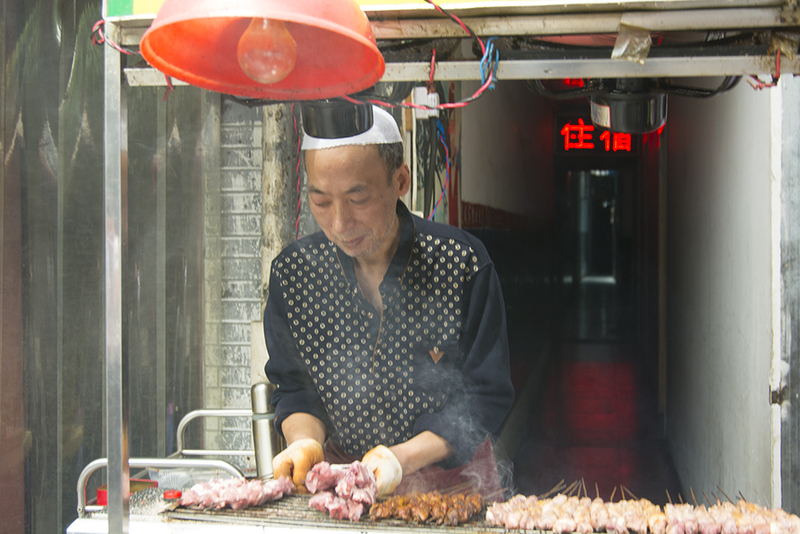 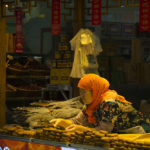 Xi’an was the place where the Silk Road began and today there remains a significant Muslim population. 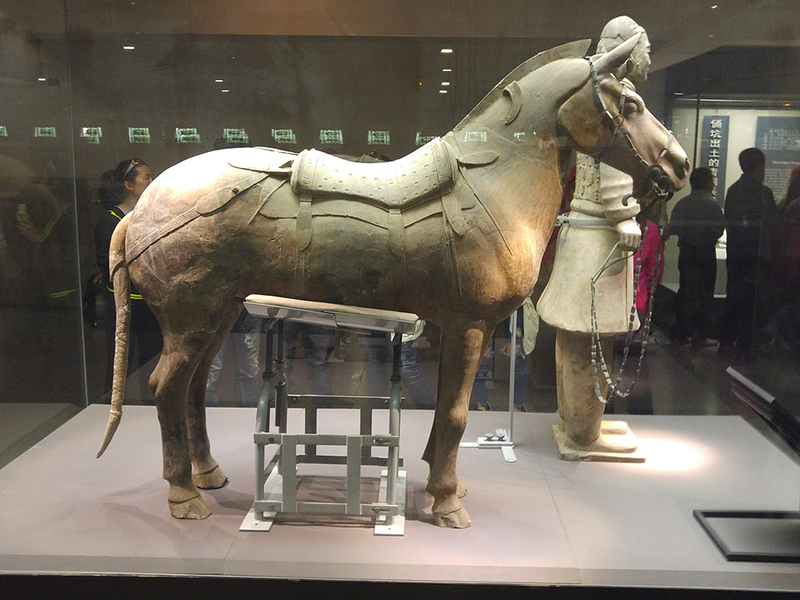 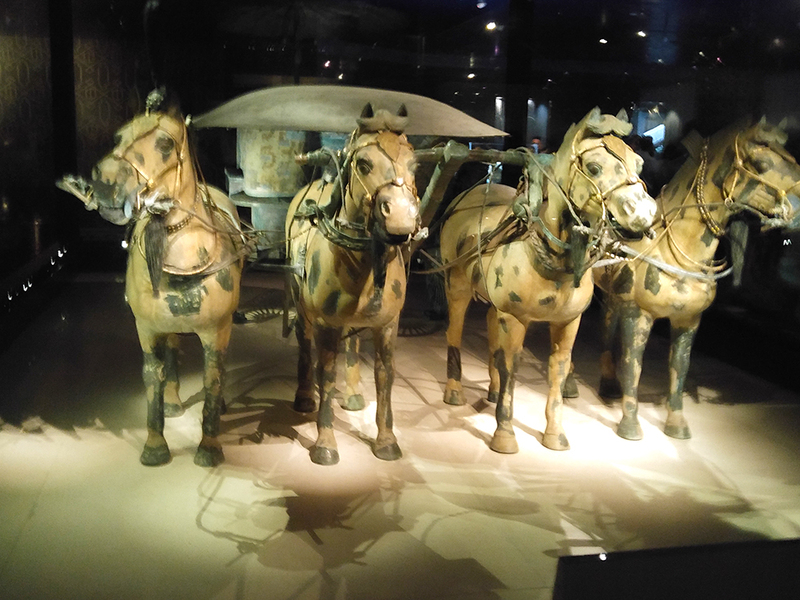 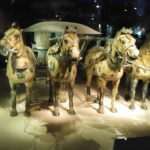 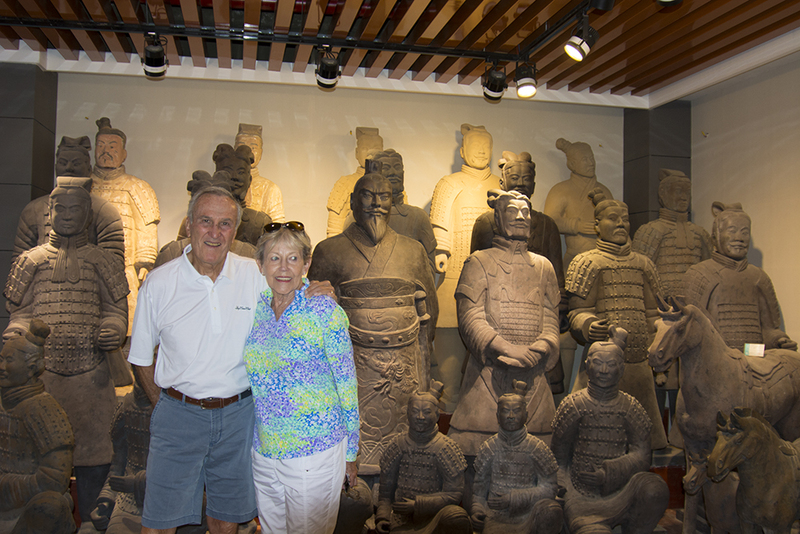 In addition to the Terracotta Warriors there is Shaanxi History Museum, that features the Tang Dynasty murals. 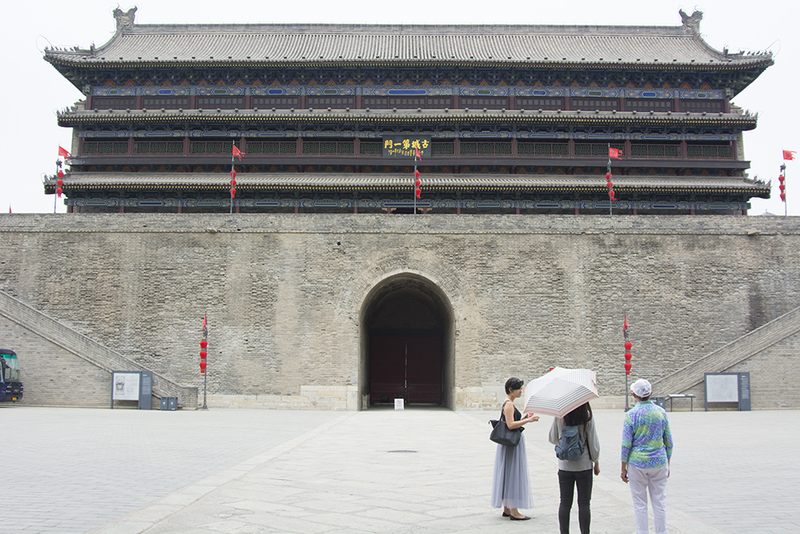 The city itself is interesting in that the four mile wall around the historic central city remains intact. 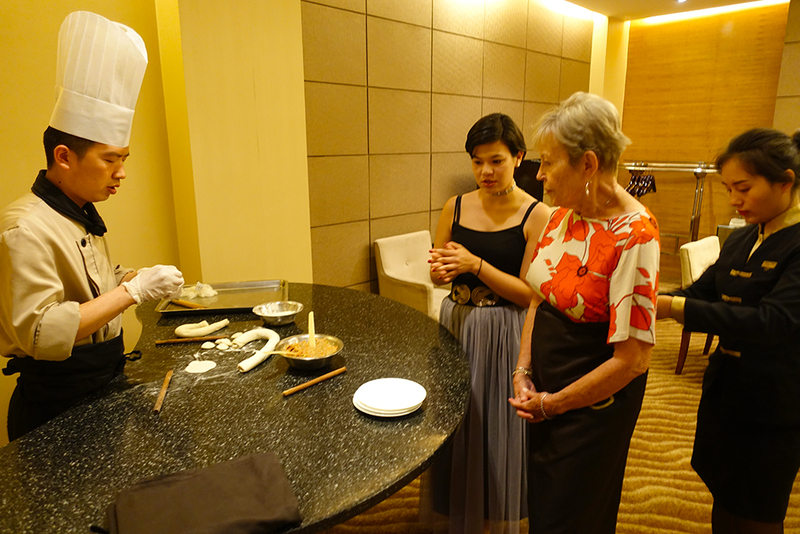 We had another cultural experience in Xi’an, learning to make dumplings. 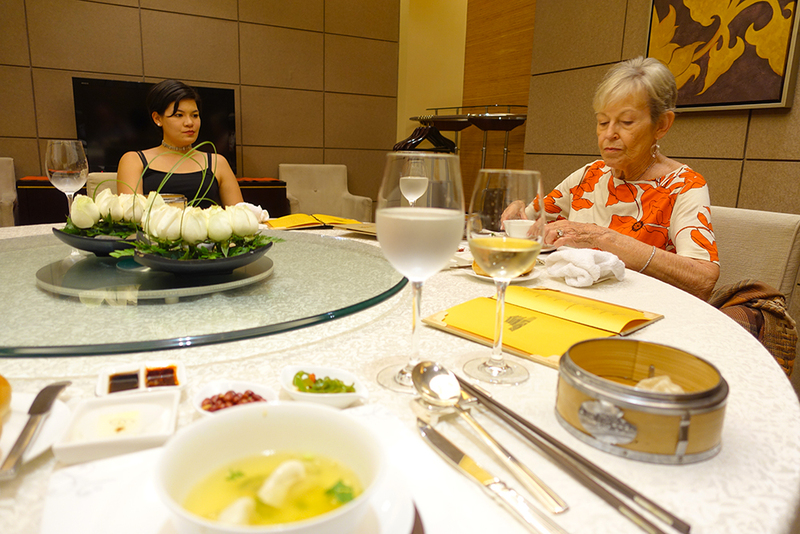 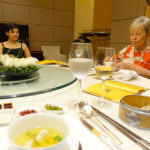 We love Chinese dumpling, and now know that the Chinese should make the dumplings, but they are yummy. 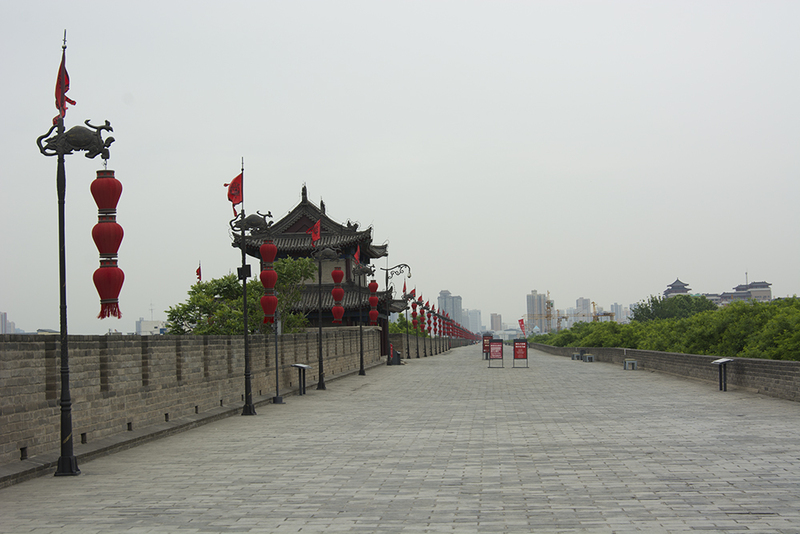 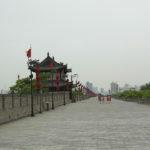 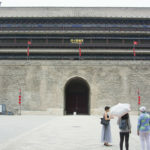 We also toured one of the few City Walls to survive the cultural revolution. 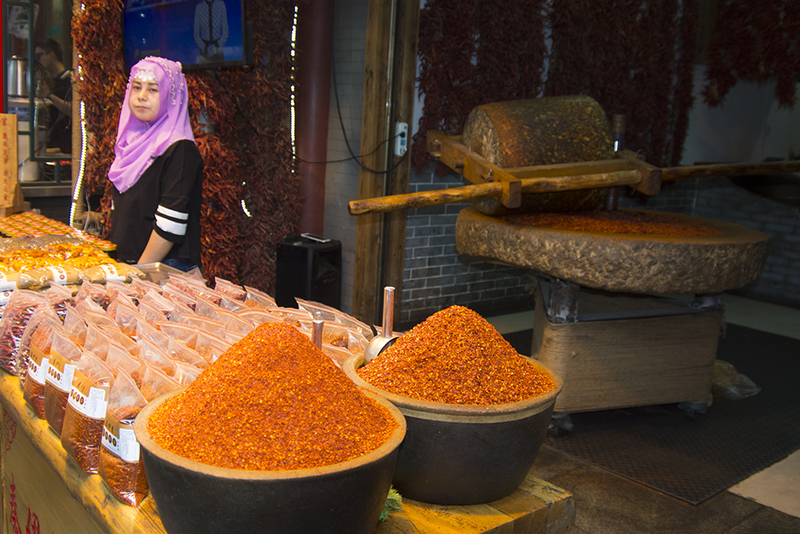 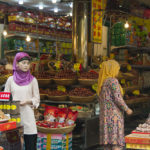 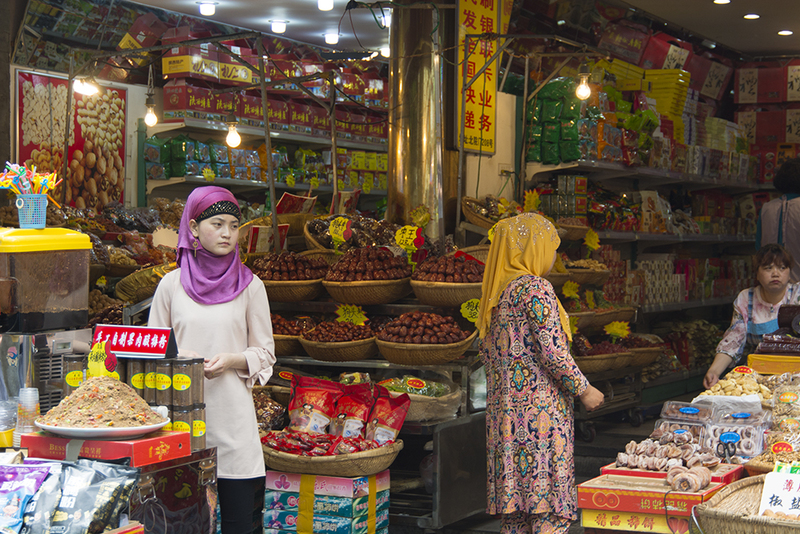 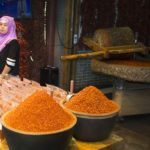 We toured the Muslim market and Mosque, a historic carryover from the trade silk road trade route that terminated in Xi’an. 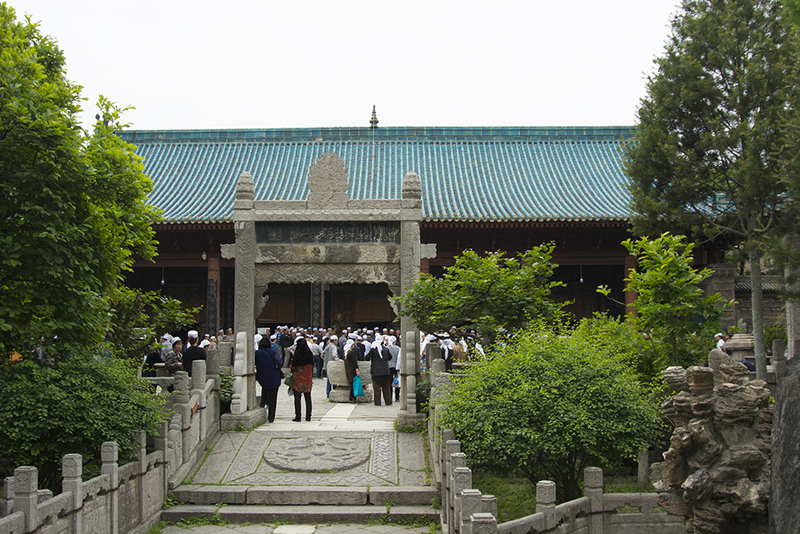 The Mosque is in the Market area and when we visited there was a Muslim funeral service in progress.